Three Boy Circus: The Hundred-Foot Journey Coming August 8th! 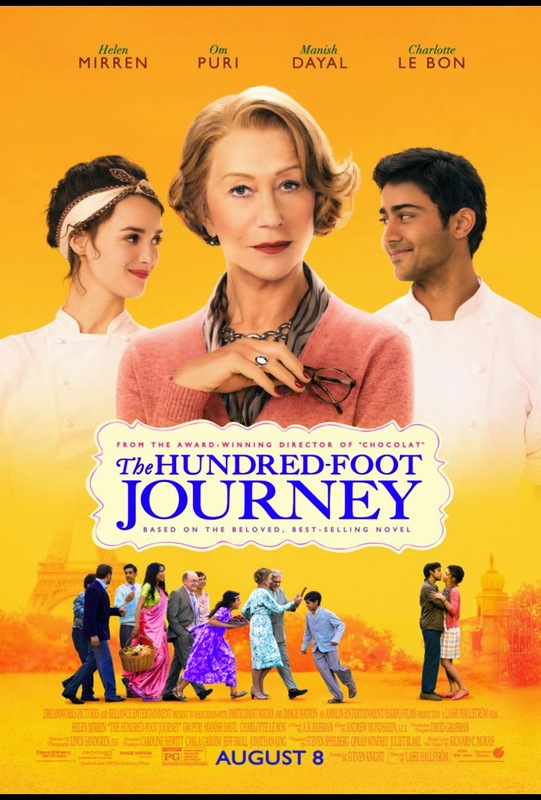 The Hundred-Foot Journey Coming August 8th! Directed by Academy Award-nominee Lasse Hallström and starring Academy Award-winner Helen Mirren, Om Puri, Manish Dayal and Charoltte Le Bon, "The Hundred-Foot Journey" is produced by Academy Award-winner Steven Spielberg, Academy Award-nominee Oprah Winfrey and Juliet Blake. The executive producers are Caroline Hewitt, Carla Gardini, Jeff Skoll and Jonathan King. The screenplay is written by Academy Award-nominee Steven Knight, based on the novel "The Hundred-Foot Journey" by Richard C. Morais. "The Hundred-Foot Journey" will be released in theaters on August 8, 2014. Check out the latest featurette below! The movie looks interesting, but since it's based on a book, I must read that first! Oprah is a producer on this movie, so you know it will be good lol.